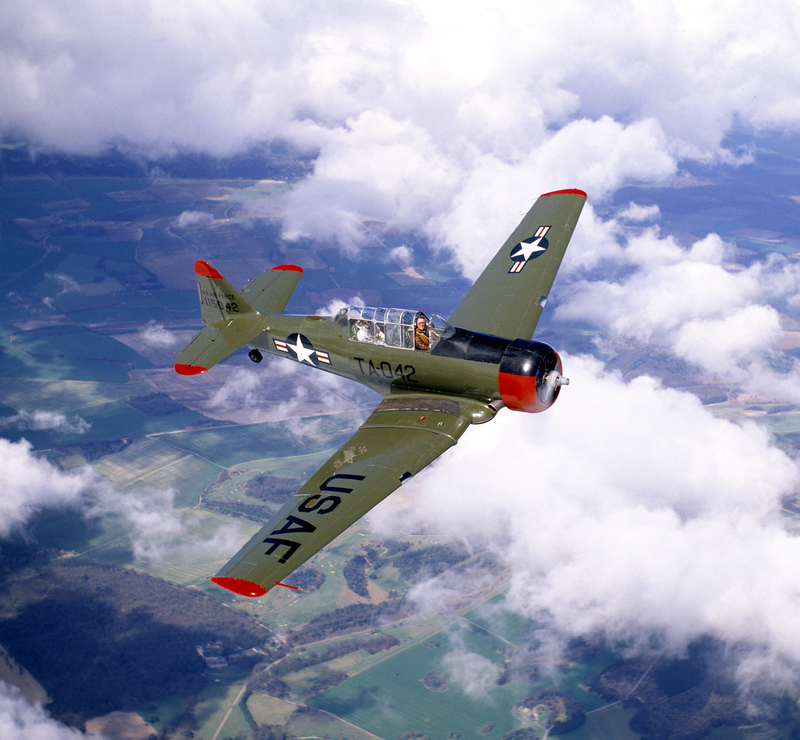 The North American T-6 Harvard was one of the most important training aircraft for the Allies during WWII. Primary training was done on the likes of the Stearman biplanes for the USAAF and Tiger Moth for the RAF but an advanced training aircraft was required before pilots progressed to either fighters or bombers; the Harvard was the main advanced trainer used for this purpose. Leaping on a few years it was also one of my favourite camera planes as I could slide open the rear canopy for a terrific field of view in order to shoot the faster aircraft such as WWII fighters and bombers. This particular aircraft was shot near Shoreham on the south coast of England.